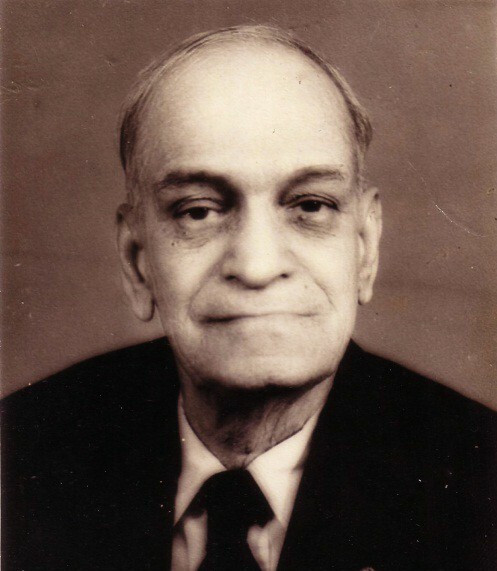 Professor Prabhakar B. Bhagwat or Bade Sir as he was affectionately called by all, passed away peacefully amidst his immediate family on 14th August 2015. A few months back he spoke to Aniket Bhagwat about his life; an interview that is the high point of a book ” Forest for the Trees ; Trees for the Forest” which is about his design firm. Professor P. B. Bhagwat talks to Aniket Bhagwat. 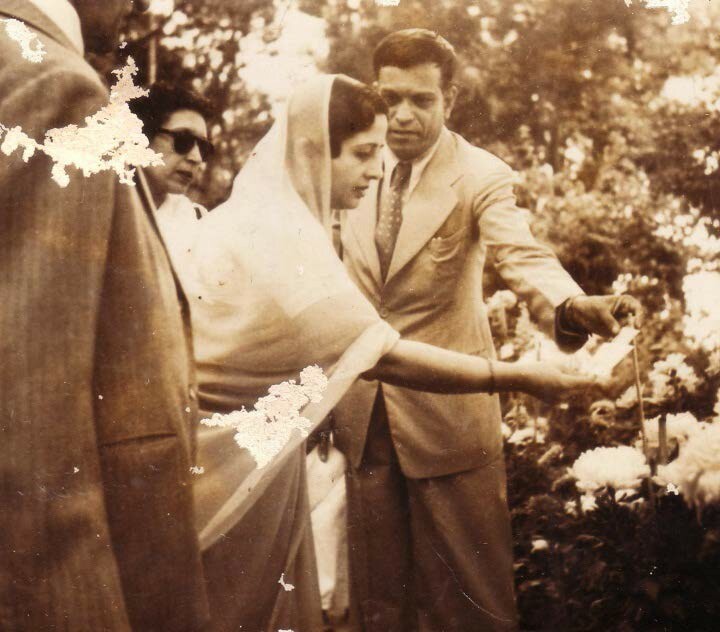 Tell me a bit about my grandfather, Bhalchandra V. Bhagwat; How did he learn about gardens; what was his life like? You know him – he was a tall, regal and fair man who always turned out immaculately. He lived his life by a motto; “If anyone can do it – I can do it better”. He believed that fully and he had three qualities that were to be his strength always. 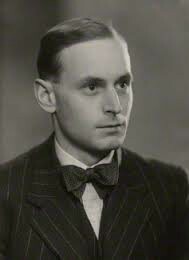 He spoke the English language with aplomb, he had excellent cursive writing skills and he had a quick head for figures. This had led to him taking jobs as they were available as a clerk or an accountant where possible. My early memories of him are when we were living in a village called Raita, near Kalyan. This must have been 1934. Someone told the local land owner who had a flower garden and was looking for a farm manager, about a man called Bhagwat and he was offered the job. As all things, he learnt on the job. Years later, on a trip to Pune, he went to the Empress Botanical Gardens and inquired if there was a job there and as luck would have it, there was an opening as an accountant. When there, in addition to his work, he learnt as much as he could in the gardens and spent a lot of time in what was a small but excellent library. There was Firminger’s Manuals on Gardening, and George Watts’ Dictionary of Economic Products of India, along with a host of old books on English Gardening. When the Superintendent of the gardens had to retire, the committee felt that since young Bhagwat was there and had shown great interest, commitment and had learnt a lot in his time there, there was no need to look elsewhere and he was offered the job. He had a sharp eye and mind. He soon realized that while the Britishers were very fond of cut flowers, the flowers grown, essentially jasminums, while fragrant, did not have a stem which disallowed the making of wreaths and bouquets. He started growing tube roses and ensured that there was a good stock during Easter and Christmas. The bouquets became a runaway hit. Over time he grew gerberas, gladiolus, daylilies and michaelmas daisies. 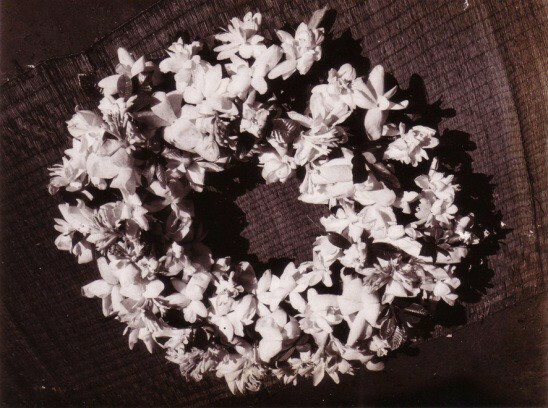 A wreath that adorned celebrations when done by the Empress gardens was soon considered a prestige. I remember one time when Akka Saheb Maharaj, Rani of Kolhapur for one of her daughter’s wedding wanted flowers to match the shade of her wedding attire. Bauhinia purpurea was the exact match and when he sent it to decorate the space, it found much praise. 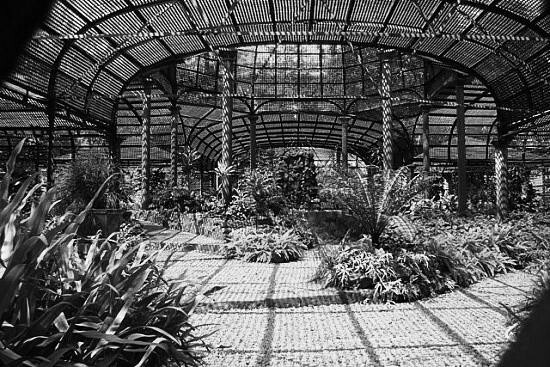 Another time when the Viceroy was to visit Kolhapur at Shalini Palace he was sent to make the gardens. Upon reaching there and inspecting the grounds, he requested for the labours so that, he could direct work. And to his great surprise in a little while, a chained gang of 60 prisoners were at his service. 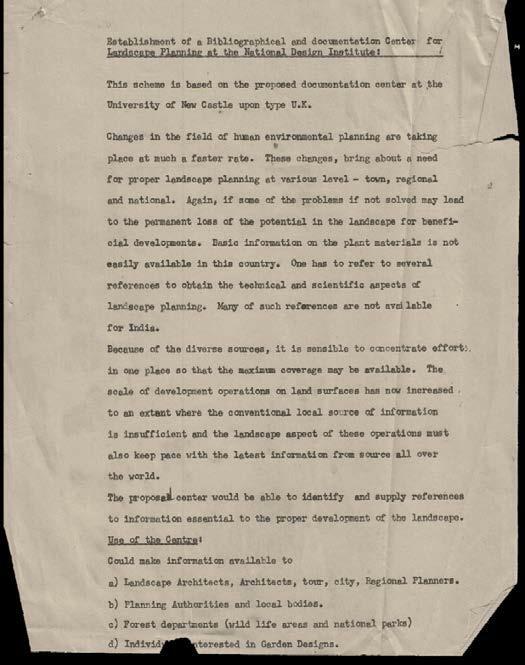 He must have been the only landscape architect in the world who developed a technique for a chained group to pass soil, manure, dig and plant. Over time, his fame grew and the sansthans who had to copy everything that the royalty did, started sending for him to do their grounds. At the botanical garden he had started growing English vegetables. 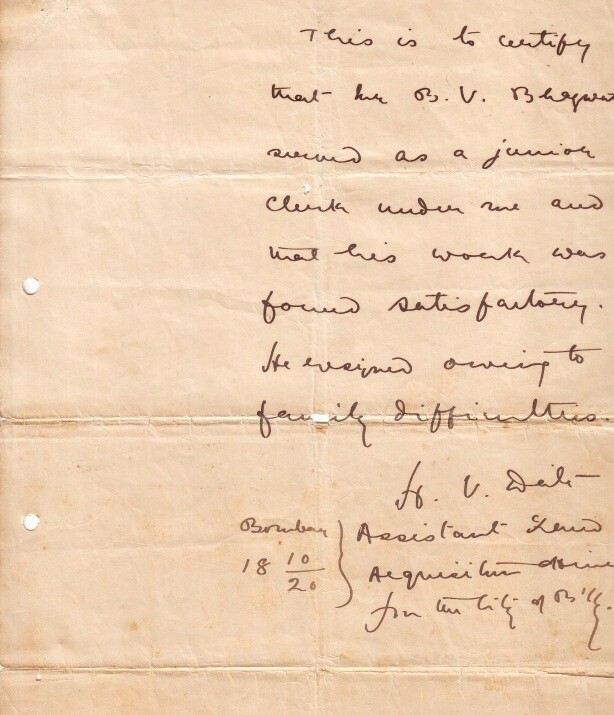 It was 1942 and a lot of Britishers were in Pune; and the vegetables were in great demand. In another instance, the British Cantonment which was nearby, wanted a place to tie their mules and asked if they could find a place at the gardens. He offered it to them, on the condition that all the droppings were put in a pit by the animal keepers and this of course gave him an unlimited supply of manure. In addition, as payment he asked for work and got many contracts to plant trees in the army areas. Little things made the difference. 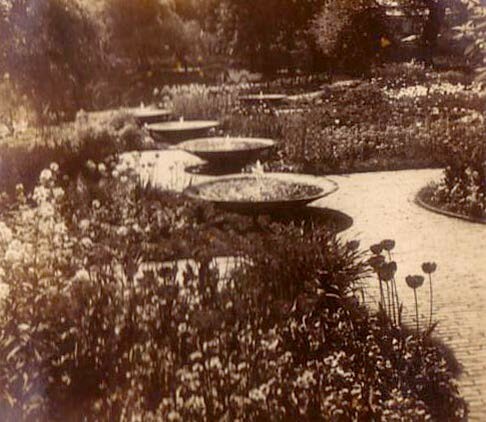 For example, he noticed that the garden pots then used needed a mould – something that the local potter could not do; hence they were expensive and in short supply. He called the potter, designed a circular garden pot and gave an order by the hundreds; so that he could easily multiply, stock plants and sell them. He really took what was a ramshackle garden and made it a workable, well disciplined enterprise that was much loved in those days. When my father was an accountant at the garden, we lived in the colony nearby and as a child of 10 or 12 years I was allowed to go there whenever I wanted. I was not allowed to pluck flowers or eat fruit but I could wander around and I started observing trees. By the time I was sixteen and my father was the superintendent, I was appointed as an apprentice trainee and my job largely was to see deployment of men to work or keep records. 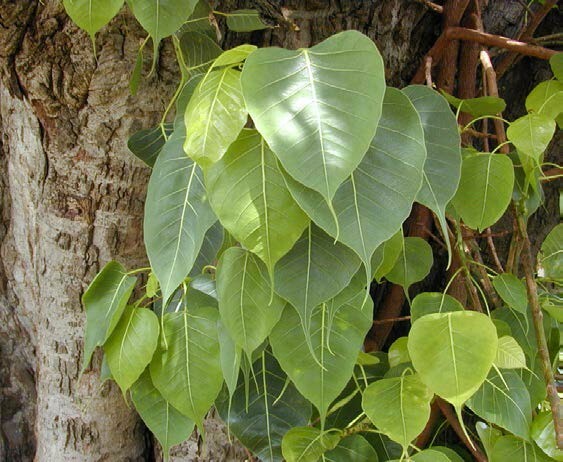 Of two of the head gardeners, Sopanna and Gopal, the former knew plants and would test my knowledge on it and the first name I learnt from him was Alstonia scholaris. He would rattle off the names in English or Latin, and a few days later see if I remembered them. But it’s not that he knew the names well; I still remember him showing me a plant that he called carmumum hebumbum; and much later I learnt he meant Cardiospermum halicacabum. 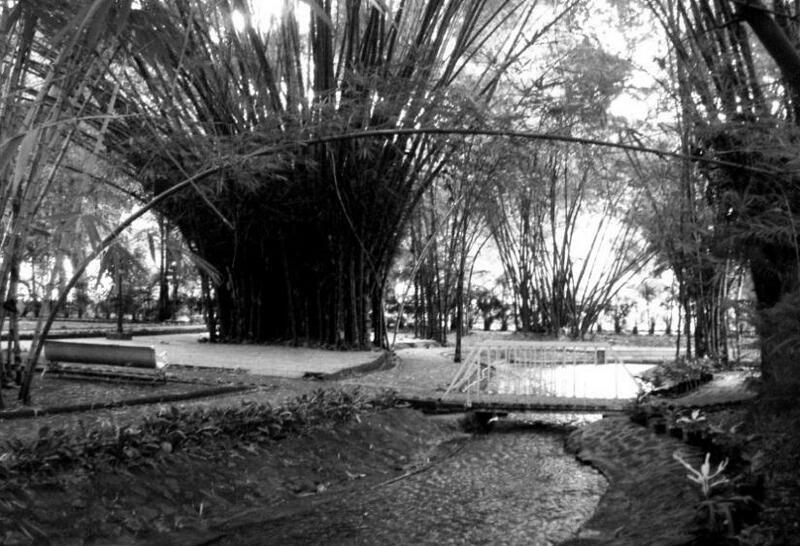 Above: The Empress Botanical Gardens, Pune. But they taught me; and perhaps the most important thing that they taught me was not about recognizing plants, but about dispelling the confusion when confronted with many that looked similar. The nuances were taught. “See they look the same, but now look under this leaf; it’s coarser to the touch…” and bit by bit, I felt at home in this world. I had already sought admission in the Poona University Agricultural College by then and worked weekends at the gardens. In college, my thirst to learn was insatiable – I just wanted to soak in everything I saw. Often I would read an advertisement in English ten times, just to memorize it! 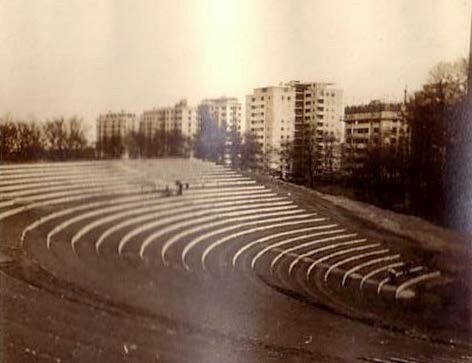 But what I really loved was history and also what it did to parts of gardens and open spaces. The spaces of the Peshwa Poona were different from the British Poona and I absorbed the logic and how they were used differently. In college I stood first for all the three years and hence was the overall best student and upon graduating took over the job as the superintendent of the gardens since my father’s health was indifferent. But by then, the garden was a sinking ship; the years around Independence had not treated it well and I found that I spent all my time only to keep it financially afloat. 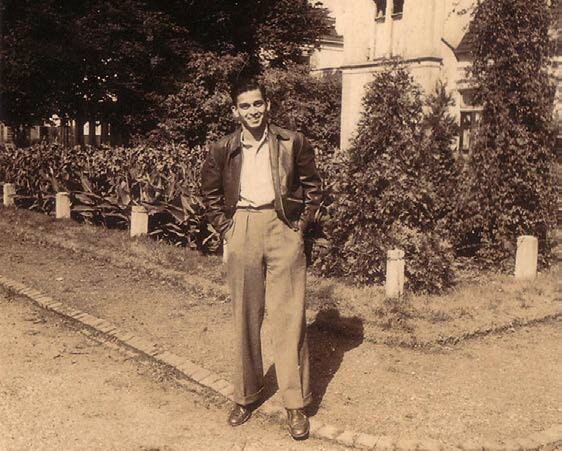 My father had promised that if I did well in college he would send me abroad to study and he scraped whatever he could and I went to Holland, at the University of Wageningen. This was 1949-50. I remember Prof. Edelmen, who was really an excellent teacher of soils and along with his subject that I really enjoyed, I studied landscape, plant breeding and floriculture. Above: A drawing by C. Th. 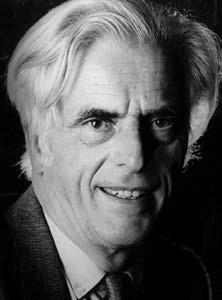 Sørenson. Having spent a year there, I went to Denmark. In the earlier trips I had seen the work of C. Th. SØrenson and asked him if I could learn under him. Above : The Royal Danish Academy of Fine Arts. There was no programme as such, for landscape at the Royal Danish Academy of Fine Arts but, he taught a few courses there and suggested that I work with him and attend classes too and when he would have the time, he would sit me down and tell me about the world of gardens. I still remember him; a gentle soul standing in front of me and touching his eyes and in a sweeping gesture touching the top of his head and then his wrist and saying “Designing landscape is three things, what the eye sees, the brain deciphers and instructs the wrist that starts to draw; when all three are honed well, the landscape will be well.” He taught me how to draw straight lines and would say, “learn to draw lines, so that in a line, you can express joy, anger or fear” He was a genius but so childlike. His big regret was that his ambition to be an actor in the Italian opera was unfulfilled; because they told him he had a big head and a poor voice. Above: Landscape at Aarhus University designed by C. Th. SØrenson. & Prabhakar B. Bhagwat in Holland circa 1950. I spent a year and a half with him and learnt that Brian Hackett had set up the first one year post graduate programme in landscape design at Newcastle-upon-Tyne. I wrote to him and soon was in his early class of four students; Burns, Stevens, a girl from Australia who had a sheep farm and me. In addition to design, we learnt soils, climate, geometry, history, theory of landscape design, plant material, ecology and regional landscape. It was an intense one year and he was a strict task master and often given to saying “If you don’t study, then well gentlemen, you can choose to be a butcher, barber or a baker”. He looked a lot like Sherlock Holmes with his fine felt hat and I often teased him about it. When I finished my course he suggested that I speak to the British Landscape Institute to see what they could do to help me; and sure enough, when they heard that, I was his student, they allowed me the one year as a part of fulfillment for the requirement to be a member and suggested I appear for the second part of the exams. I was returning soon to India and when this was revealed, they were kind to send me to a site the same day and give me my work to do a regional landscape scheme for an area. For the other written papers, I was allowed to return home and sit in the cabin of my Principal at the Agricultural College in Pune at the same time that the exam was being conducted in London. The Principal took the responsibility to assure them that it would all be done correctly and the sealed papers were sent back. A few months later I was told that my regional landscape set piece was one of the best they had seen and I was made an associate member. I must be one of the oldest Retired Fellows of the Institute today! Tell me a bit of your life upon your return and before you went to IIT Kharagpur. I came back and started looking for jobs and the memorable one that stabilized our economic health was the one for Burmah Shell at Chembur in 1954. I was told that there was some landscape work to be obtained and went to meet the officers there, and while sitting waiting to be called, I heard one of them muttering “Godverdomme” off and on, in rising tones of anger. I smiled and Mr. Vanpech, who headed the development work, noticed my mirth. Not amused, he asked what the smile was for and if I knew what he was saying. My time in Holland paid off and soon we were conversing about what I had learnt there and my qualifications. When he learnt about my education there, the job was given to me without any further debate. I ended up doing a lot of work from planting the arrival areas to taking a contract for keeping the industrial premises free from grass since it was a fire hazard and also grass cutting work in the colony. The money I got, in all was close to fourteen lakh rupees which was a large sum then and after paying for all the material and expenses, still left us enough to repay the debt my father had incurred for my travel abroad. I remember a rather amusing incident where, when I was asked by them at one point to prepare a large grassed area, in anticipation of the President of India’s trip. I was given really no time; so had to start work on the same day. My trusted labor agency by then, upon hearing about the tight schedule was unfazed; and the next day deployed 100 donkeys to move the earth. I asked him why there was no heavy machinery; and he replied rather laconically, that “bulldozers compact the ground so hard that it’s difficult for the root development of the grass – donkeys on the other hand, till the soil and improve the texture.” He was right. When in Mumbai, I taught landscape for two days a week to the final year students at JJ College. But really, in those days no one knew what landscape really was all about. For 8 months I also tried a job as the Assistant Superintendent at the Victoria Gardens. It was around this time that I met Kanvinde, who was designing the National Chemical Laboratory campus and he was to send me onto another chapter of my life. 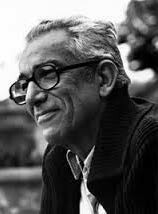 Prof. V.N. Prasad was looking for someone to join his planning team at IIT. I was looking to find a place where I could use what I had learnt a lot more than what I was doing. I mentioned this to Kanvinde at one point when we were at site and he immediately recommended me to Prasad whom he knew well. I was soon the only person who was on that team who knew anything about nature and ecology. To map it, to understand it and to preserve it – this is what I knew well. 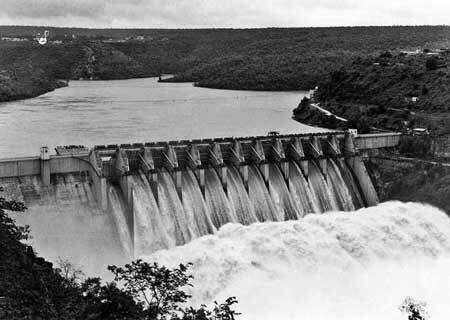 After some time, I found myself heading the team on the mammoth Damodar River Valley Project and we spent years mapping water flows, locating reservoirs and dams and assessing its impact and engineering. 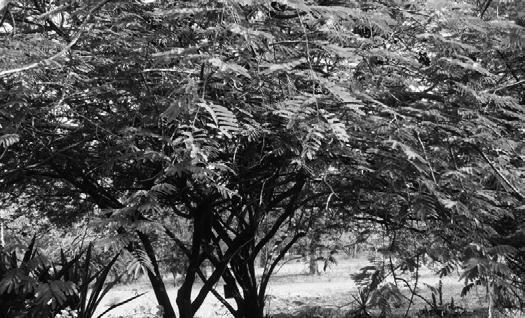 It was here, that in around 1957, I started what was the first landscape programme in India. It was a two year course and part of the planning department. I ran it till we left Kharagpur in 1964-65 after which, they could not find anyone to continue the work. It was also here that, I appeared successfully for the Indian Institute of Town Planners qualifying exams. So when all this was going well, why then the move to Ahmedabad in 1965? Kharagpur after all was a good life, idyllic, perhaps a bit slow, but nonetheless…. Well, I had spent a lot of time at IIT; but I was itching to actually work on landscapes and that was not happening. I was restless. The University of Punjab was planning to set up a full-fledged landscape department and I decided to apply. I asked V.N. Prasad for a recommendation; instead he sent a telegram to the Chairman there, which said “If you are searching for a proper man. Stop. Stop searching. Stop. Bhagwat is your man. Stop.” I got the job to head the department. Above : National Institute of Design, Ahmedabad. Around the same time, some students from IIT were at NID and they invited me for a lecture. At the end of the lecture, Gira Sarabhai came and offered a job and an offer to set up a professional Landscape Department. This was 1964-65; and the war winds were brewing so going to Punjab did not seem so prudent. The horrors of the partition were not forgotten. My parents needed me and while going to Pune was not an option; living as close as I could so that travel time was reduced was the best option and Ahmedabad fitted the bill. 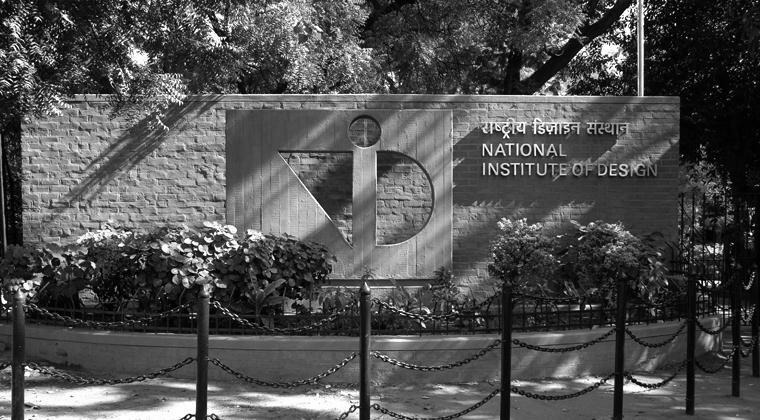 NID was a nice place in those days. 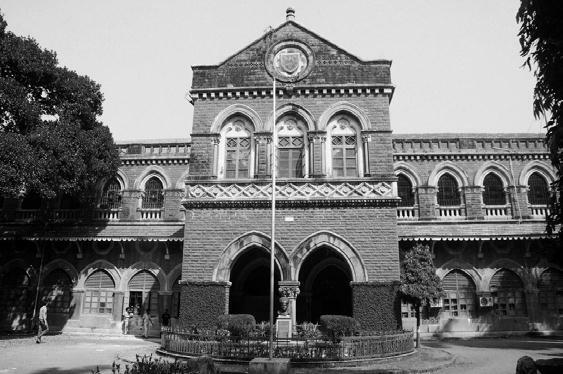 There was Thackray, Suresh Banker, Padmakar Karve and Sharad Shah in the department. 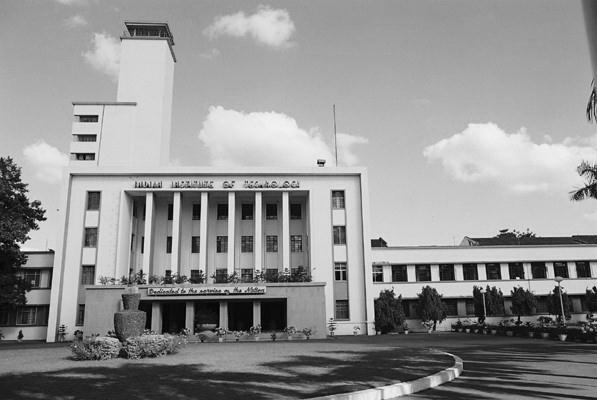 There was our department, then Textile headed by the wonderful P. S. Rajan, Furniture and Ceramics. 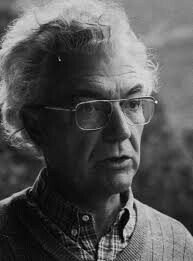 Those were the days when folks like Frei Otto, Leo Lionni, the film maker, Helena Perheentupa, Hans Christian Pulver and Adrian Frutiger spent a lot of time at NID. Then I think Banerjee joined for the printing department. I ended up becoming the head of the academic programme, along with running the landscape department. We worked with Henry Kosina, the airport designer and we worked on the Delhi Airport and then of course Louis Kahn spent a lot of time there. I don’t think we took good care of him at NID. I remember a trip that I took him for to Mandu; he ate simply on the roads and was so happy to see the place. Once I invited him for a meal to our house in Paldi. We had no furniture, so your mother wrapped a travel bag with a white table cloth and used it as a dining table. After the meal, he so very shyly and hesitantly asked for another helping of soup and puri and was happy like a child when he ate. He was very endearing. Sadly that was the last time he came to India and died so tragically. While there, I really enjoyed working on the gardens of NID. I imagined this as a work in scenography and carefully constructed many landscape sets, to be viewed from different parts of the buildings and used in a varied manner. Slowly, we built an astounding collection of plant material there. One of my favorites was the Divi Divi tree (Caesalpinia coriaria) that I planted along the entrance. It was so fragrant! A small bunch of flowers could transform the area. Above : Divi Divi Tree. It was from here that I worked on projects like the Air India Housing Colony in Mumbai or the IIM landscape; and of course met and worked with people who were humane, but giants in their own right like Dr. Vikram Sarabhai and Kasturbhai Lalbhai. The latter was fond of me and often when I would visit his house, would order a whole lot of food, and supervise me to make sure I ate. It’s an exhaustive and prolific list. Have you ever seen a Ficus religiosa at the end of winter? Suddenly, fresh tender green leaves start poking out and soon they shine and shimmer like gold. Once I was at the Chandigarh railway station and the train had a long halt and I spotted a specimen and we started talking; for over half an hour. I saw it swaying and dancing in the wind and as if that was not enough, soon a very small shining bird started visiting it and chirping; see the joy! If you can sense this joy, will you not make this your world? Do you know where the word “mohar” comes from? It comes from a form of “madhur – rakha”, that which keeps honey and that’s why when the flowers are buds it’s called “mohar”. If you started enjoying this, it’s only the tip; and one thing leads to another, to another and it goes on and on…if you found this world, would you not immerse in it? Do you know that when you teach, you revisit all that you love; you cherish it, you savor it; and in doing so, you bring joy to others. If you found this joy, would you not forever want to teach? Prof. P. B. Bhagwat, continues to do what he loves the best, teach, think of plants and find the many meanings of their lives. I m feeling very happy to learn about you, Sir! … And many things you spoke about. I was proud to be Prof. P.B. 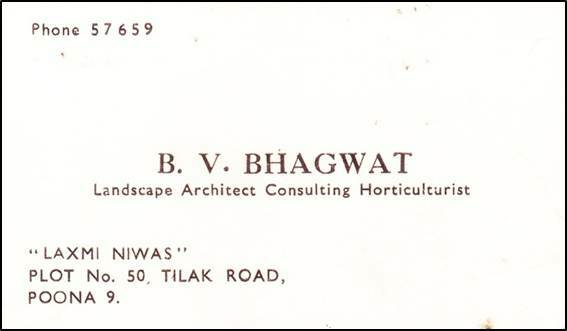 Bhagwat’s secretary at NID in the Landscape Design department and learned a lot from him. Having some conscious to our GREEN is something that i love the most. these words with in heart and live is some THE GREAT. THANK YOU SIR..